Join the Plymouth Odd Fellows for a Charity Euchre Tournament to support Be The Match Foundation (bone marrow donor registry)! Tournament will be rotation style so no partner is required. First 60 to RSVP are in! A wait list will be started once we reach capacity. Time: Doors open at 7pm, Tournament will start promptly at 7:30 pm. Need to rent a hall? 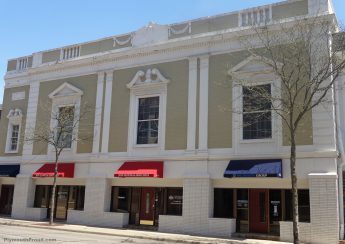 Our lodge is located just steps from the heart of Historic Downtown Plymouth on the North West corner of Ann Arbor Trail and Elizabeth Street. We are conveniently located just 1 block East of Kellogg Park where most Plymouth festivities occur. If you’re looking for a place to hold your next meeting, birthday party, special event, etc. at a very reasonable price be sure to consider renting our Lodge. Our facility offers exclusive Free parking, a Kitchen area, restrooms, and plenty of privacy considering our location and it’s proximity to an area that’s visited by thousands of people on a weekly basis.